So I've finally taken the plunge and got myself a personalised domain name for this blog. You will now find all my aviation musings, reports, photos right here www.nzompilot.info. Air New Zealand is the launch customer for the 787-9, the first of which is due to roll off the production line at Boeing in Seattle next month. Chief Executive Officer Christopher Luxon says the 787-9 is a game changer for the airline. As expected they will predominantly replace the Boeing 767-319s on Shanghai, Papeete and Honolulu, but they will also replace the Boeing 777-219 on Tokyo and Perth. The interior will feature almost 4 tiers of seating with Business, Premium Economy which will be known as business-lite, 16 rows of skycouch then economy. • In the Premium Economy cabin the airline has worked with US seat designer Zodiac on a customised seat best described as Business-lite. This comfortable ink coloured luxury leather seat will have a 41” pitch, a generous 5” wide armrest and a leg rest and extendable foot support which will allow passengers to really stretch out and relax. 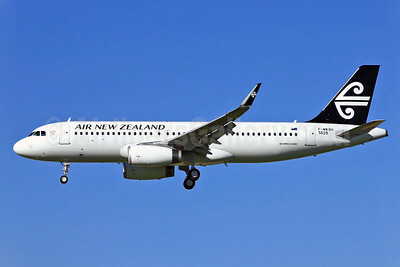 Air New Zealand's Premium Economy class has won big at the 2013 World Airline Awards run by Skytrax. Brisbane Airport and Virgin Australia have reached agreement to "enhance customer experience at Brisbane Airport" I picked up the news when BAC tweeted out the announcement this morning. The sale and lease-back of the Virgin Australia hangar at Brisbane Airport. 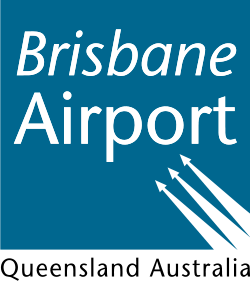 Towards the bottom of the BAC announcement you see that the 10 year runway system agreement "provides certainty to the ongoing development of infrastructure at Brisbane Airport" which to me suggests Virgin have accepted the user pre-pay option for the second runway which has been a big sticking point with airlines until now. I also suspect that this will add some additional cost to tickets as Virgin pass on this cost to travelers. The end of the BAC announcement also says the sale and lease back of the Virgin hangar will occur this financial year - i.e. before June 30th. 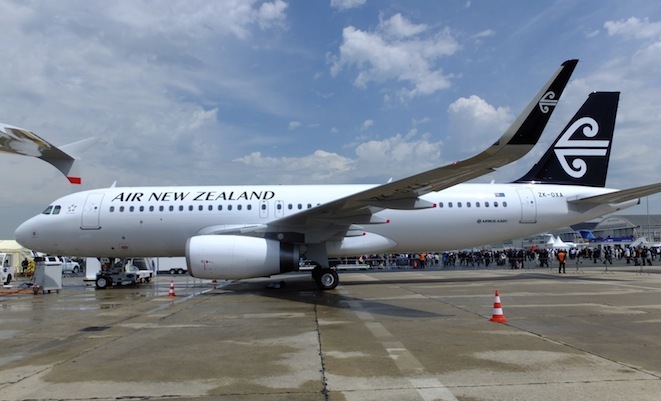 Air New Zealand have taken to Facebook to release their new look livery with two separate photo's showing a new black livery and a new white livery. Jetstar have sparked a flurry of excitement from local spotters in Cairns, Gold Coast, Perth, Melbourne & Sydney by announcing their new fleet of 787 aircraft will debut on domestic services in November before heading into international operations in December. Qantas’ low-cost offshoot, which takes delivery of Australia’s first 787 in late September, says that popular domestic routes from Sydney, Melbourne and Perth to the Gold Coast and Cairns “are currently being considered”. Interestingly enough with the exception of Perth these are the destinations that JQ fly their international A330 services from, and the ports that will see the 787's when they transition over to the international routes. Jetstar have also announced the seating layout of their new birds with 21 business class seats in a 2-3-2 layout, while 314 economy seats will be laid out 3-3-3 giving an all up load of 335 passengers. The seat pitch will be comparable to Jetstar’s current A330 fleet – around 38 inches in business class and 31 inches in economy – says Jetstar’s 787 director Mark Dal Pra.